"Ich habe genug" (BWV 8Ich habe genug (original: Ich habe genung, English: "I have enough" or "I am content"), BWV 82, is a church cantata by Johann Sebastian Bach. He composed the solo cantata for bass in Leipzig in 1727 for the Feast Mariae Reinigung (Purification of Mary) and first performed it on 2 February 1727. 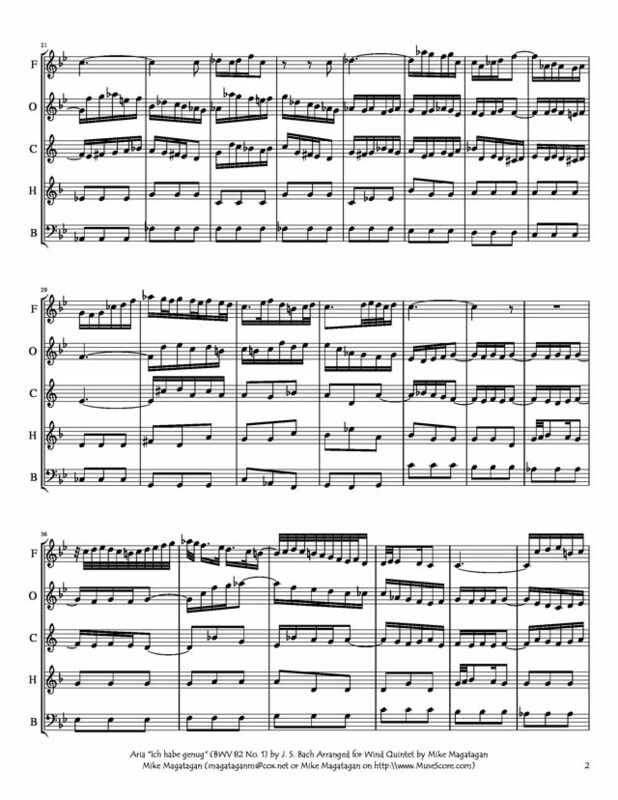 In a version for soprano, BWV 82a, possibly first performed in 1731, the part of the obbligato oboe is replaced by a flute. Part of the music appears in the Notebook for Anna Magdalena Bach. The work is often performed and the most frequently recorded of all the Bach cantatas. Bach composed the cantata in his fourth year in Leipzig for the feast Purification of Mary. The extant autograph score and the parts show that he performed it at least three more times, in a version for soprano, BWV 82a, the first possibly in 1731 or even as early as 1730, another version for soprano in 1735; and again for bass, with minor changes to the original version, after 1745. Bach obviously had a high regard for this work. The first recitative and most of the aria Schlummert ein were copied to the Notebook for Anna Magdalena Bach in a version with continuo accompaniment, presumably entered by Anna Magdalena Bach for her own use. 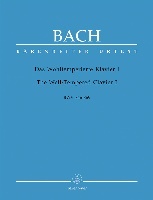 Other cantatas that Bach performed for the occasion are, according to Alfred Dürr, Komm, du süße Todesstunde, BWV 161, Ich lasse dich nicht, du segnest mich denn, BWV 157, and Der Friede sei mit dir, BWV 158, with similar topics. In the first version of the cantata, the choice of the bass voice probably illustrates the old man Simeon. The soprano voice shows more clearly that the situation applies to that of any believer. The first movement, an aria, begins with an expressive melody of the obbligato oboe which is picked up by the voice on the words Ich habe genug (I have enough). The beginning upward leap of a minor sixth is reminiscent of the aria Erbarme dich (Have mercy) in Bach's St Matthew Passion and the aria Wenn kömmst du, mein Heil? (When will you come, my salvation?) from Wachet auf, ruft uns die Stimme, BWV 140. The first motif is changed to a phrase that appears at the end of three vocal sections. A similar motif begins the middle section on the words Ich hab ihn erblickt (I have seen him), turning upwards in the end. Klaus Hofmann notes a "feeling of serene contentedness with life" in "elegiac tones" as the aria's expression. Musicologist Julian Mincham notes "that instant when body and soul come to rest and are resigned and in complete harmony. Bach encapsulates this experience of peace and acquiescent submission beyond anything that mere words can convey." 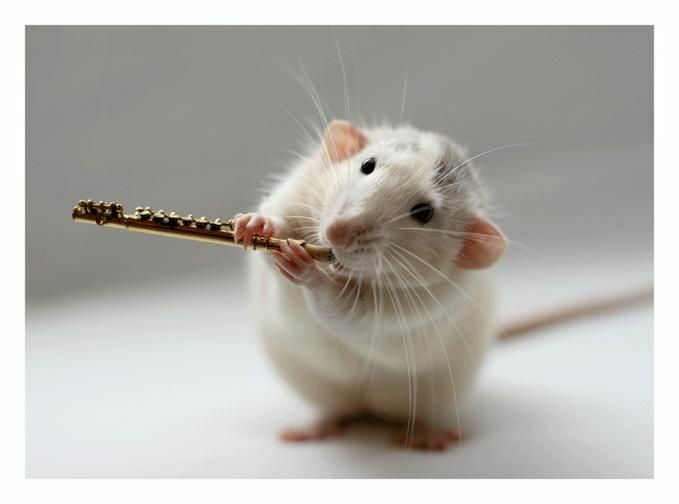 He sees the "flowing oboe arabesques", which the singer imitates twice on the word Freude (joy) as a "clear indication that their expressive function is to proclaim the Christian's personal bliss, an inextricable element of this important experience of life". The following recitative begins with the same words as the aria, Ich habe genug, on a new melody. The middle section stresses the words Laßt uns mit diesem Manne ziehn! (Let us go with this man! ), speaking of following Jesus, by an arioso in which the continuo follows the singer. The central aria Schlummert ein, ihr matten Augen (Fall asleep, you weary eyes) is a "Schlummer-Arie" (slumber aria). 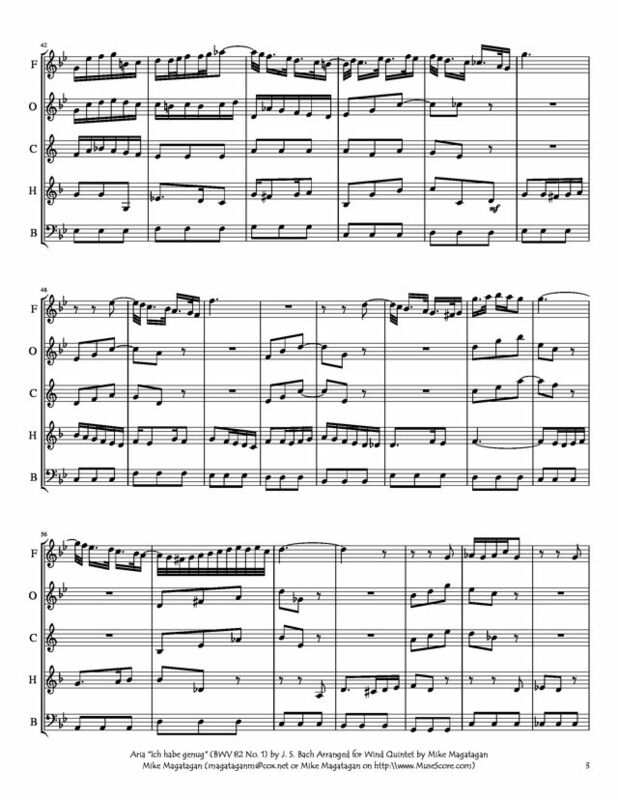 In a complex structure, it is not only a da capo aria of three sections framed by a ritornello of the strings, but repeats the first section in the center of the middle section. Frequent use of pedal point suggests rest, fermatas stop the forward motion, as described by Mincham who writes, "The frequent pauses, where everything temporarily comes to a standstill, are suggestive of that peaceful closing of life where there is no activity and disorder is a thing of the past". A short secco recitative, Mein Gott! wenn kömmt das schöne: Nun! (My God! When will the lovely 'now!' come) ends with a downward continuo line, suggesting both "taking one's leave and being lowered into the welcoming grave". The concluding aria is a joyful dance, anticipating death as the fulfilment of desire, Ich freue mich auf meinen Tod (I am looking forward to my death). The "joyful longing for the hereafter" is expressed by "agile coloraturas that characterize the entire movement". Mincham notes that the final aria corresponds to the first in similarity of the scoring with the obbligato instrument, key, and triple time. The final aria is faster, marked "vivace". The text first treats the "joy of anticipation of death and the desire for it to happen imminently", then, treated in the middle section, the "conviction that death will release us from the misery of the world to which we have been chained". 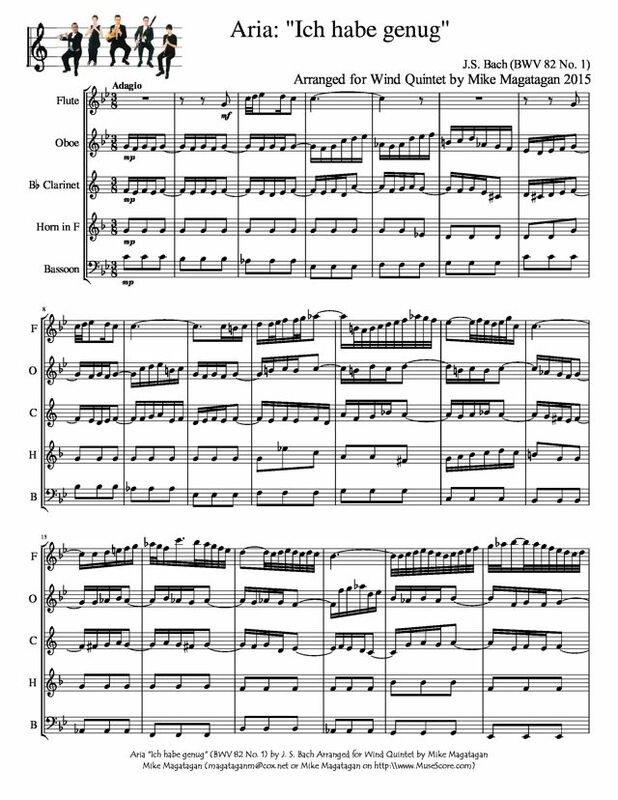 Although originally scored for bass, oboe, two violins, viola, and basso continuo, I created this arrangement for Wind Quintet (Flute, Oboe, Bb Clarinet, French Horn & Bassoon).2 No 1) for Wind Quintet (Flute, Oboe, Bb Clarinet, French Horn & Bassoon).